It doesn’t matter how much time you’ve spent carefully crafting a beauty collection that’s perfect for you and your style. After a while, your beauty products start to bore you. It’s an inevitable result of keeping your beauty collection static for too long. The dresses that once made you smile every time you opened your closet are suddenly uninteresting. That lipstick you used to swatch on your hand just so you could look at it all day long? Ho hum. Unfortunately, most of us don’t have the funds on hand at all times to buy ourselves a brand new collection of makeup, clothes, and hair products when our current items lose their shine of newness. However, there’s no need to go overboard with a boatload of fresh products. There are many convenient and cheap ways to revamp your beauty collection without breaking your bank that you might never have considered before. Organizing your wardrobe or your makeup collection might not sound like much fun. However, organizing your beauty products in a brand new way can help them seem fresh and new and exciting again. You might be surprised at the clothing pieces or makeup products that you’ve forgotten about in the back of your closet/vanity drawers. 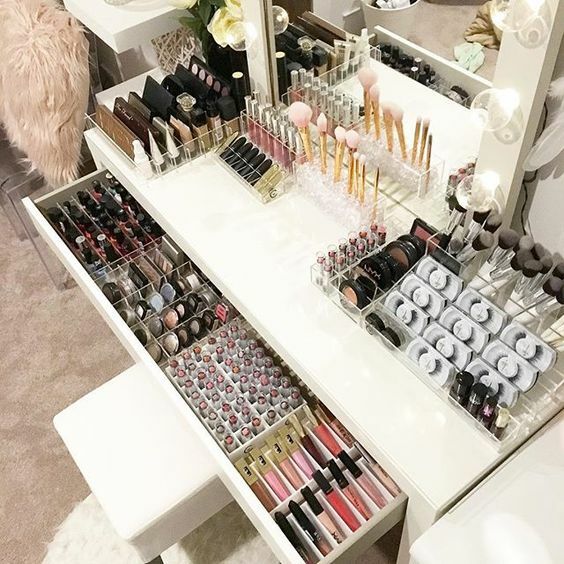 Invest in a new set of plastic drawers for your vanity. Clean out the medicine cabinet behind your bathroom mirror. 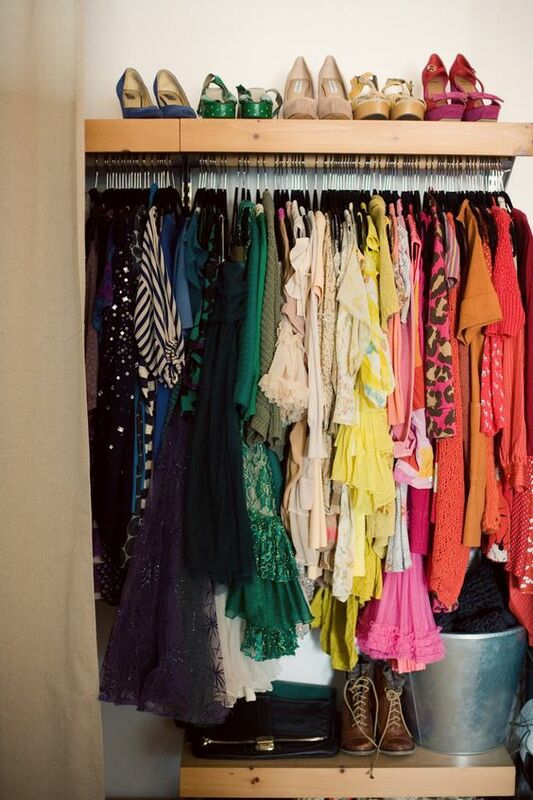 Color code your closet. Arranging items you already have in a new way tricks your brain into thinking the products themselves are new. This simple trick prevents you from buying a bunch of superfluous beauty products you don’t really need. Plus, it helps you get organized easily. 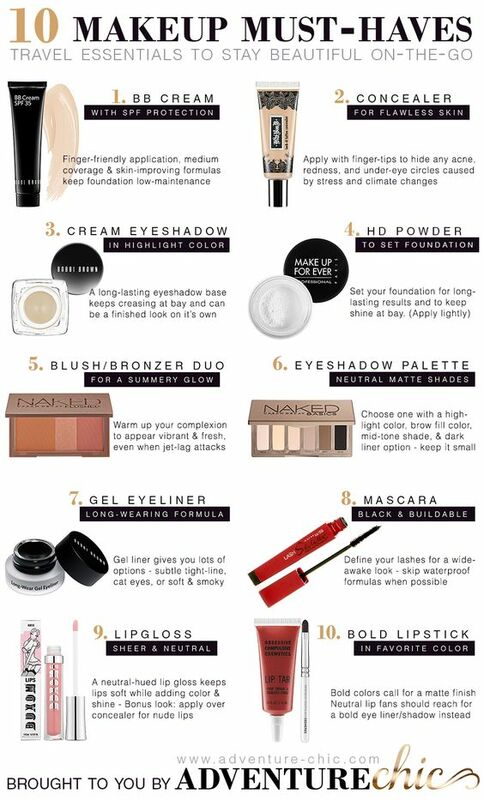 Set a beauty budget for yourself. Only allow yourself to buy one new beauty product every two weeks or every month depending on your budget. If you are running low on your regular foundation, buy that when the time comes. 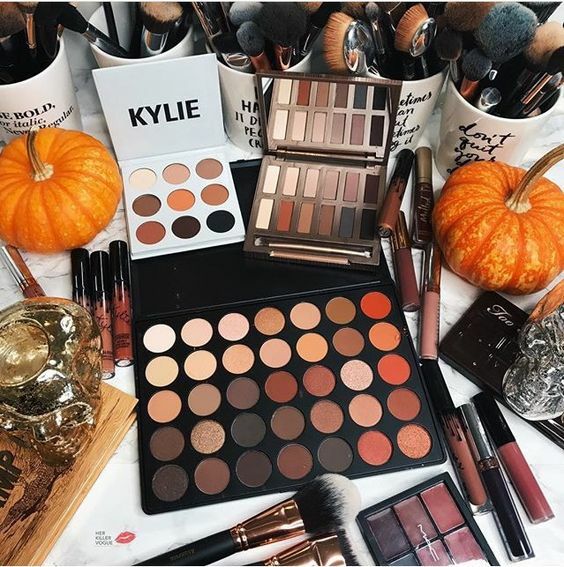 If you’re not in need of any boring products at the end of the month, feel free to spend your beauty budget on a fun new palette or flat iron you’ve been eyeing. 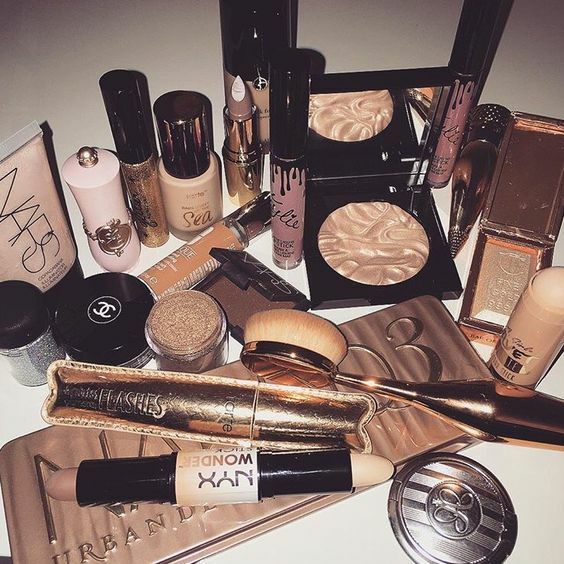 Letting yourself buy new items regularly but not too frequently keeps you from going on an expensive beauty binge. Plus, adding one new product makes your whole collection seem fresh and exciting. There is likely a whole world out there of different uses for the products you already own that you don’t even know about. Search magazines and the internet for new (to you) ways to use makeup products that are already in your drawers or clothing pieces you have in your closet right now. You’re almost guaranteed to discover new looks to create from a pre-existing eyeshadow palette or new ways to pair skirts and tops you’ve had for years. You don’t necessarily need new products to make your collection seem fresh. All you need are some fresh ways to use the products you already have. Instead of buying brand-new clothes every few months, put some of the clothes you already own in storage. By circulating clothing pieces in and out of your closet at regular intervals, you’ll end up with a wardrobe of pieces that seem exciting and new to you every few months. If you love the novelty of fun, new beauty products, try signing up for a beauty box. These boxes are filled with random, trendy makeup items, hair products, and clothing pieces. You’ll be able to look forward to new products every month. Plus, these boxes cost a set price every month, so you can easily work their cost into your monthly budget in advance. There is absolutely no reason you should ever spend more than $10.00 on a tube of mascara. You’ll find that there are some products (think color-preserving shampoo) that is worth paying a high-end price for and there are others (think nail polish) that you should buy cheap. 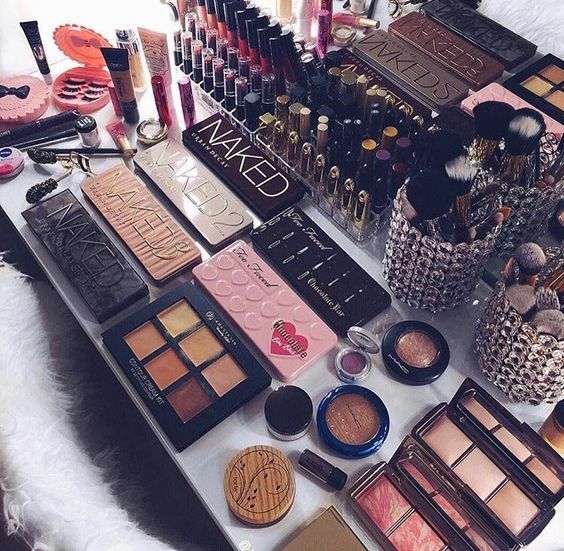 If you don’t waste money on products you should be buying for less, you’ll have more money left over to spend on products to makeover your beauty collection. Find a foundation, concealer, pair of work jeans, etc. that you love and stick with them. You can save a ton of money if you buy multiples of these products when they happen to be on sale. Then, you’ll have more funds left over for unique, fun products that are actually entertaining to buy and try. You don’t need to choose between wasting half your paycheck on giving your entire beauty collection a makeover and sticking with the same old products forever. Use the tips in this post to find the sweet spot you can hit that saves your money and still allows you to revamp your beauty collection to your satisfaction. Subscribe herstylecode to find more latest new beauty trends, tips!